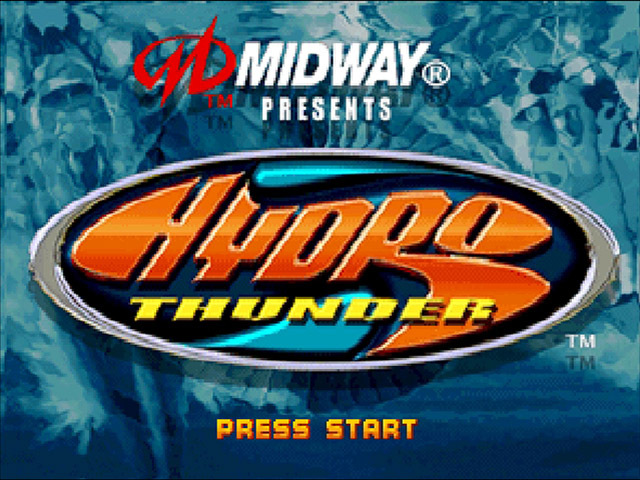 Hydro Thunder is another port of an arcade game for the N64. 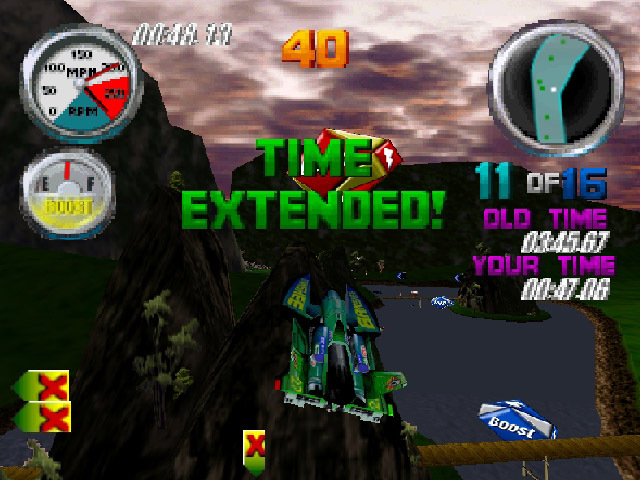 Back in those days, Midway used to port everything from the arcades to the N64, with varying results. 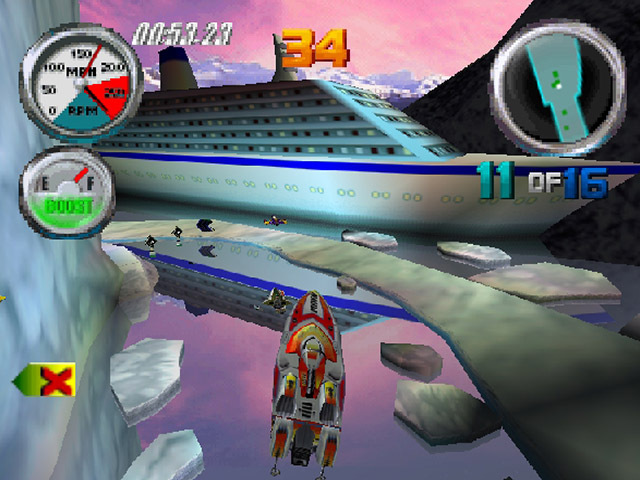 Fortunately this is more of a case of Gauntlet than San Francisco Rush. As in, it's actually very good! 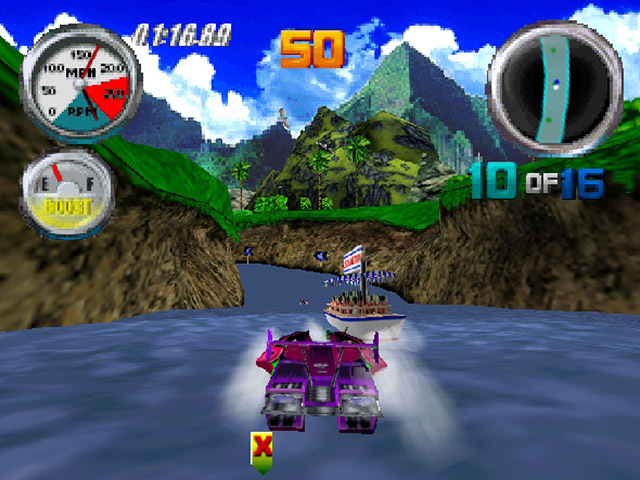 The game is an arcade racing game with speedboats. 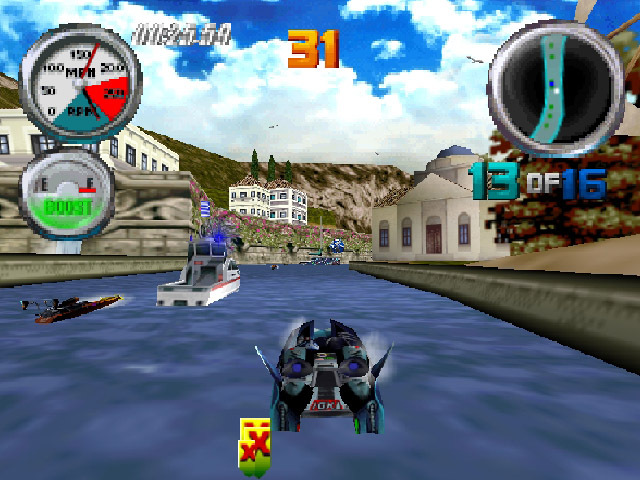 The races take place in increasingly exotic and fantastical locales full to the brim with secret exits and stunning vistas. 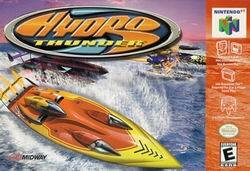 There's 3 courses and 3 crafts to selct from at the beginning, but as you win races, you unlock the next tier of both races and watercrafts. 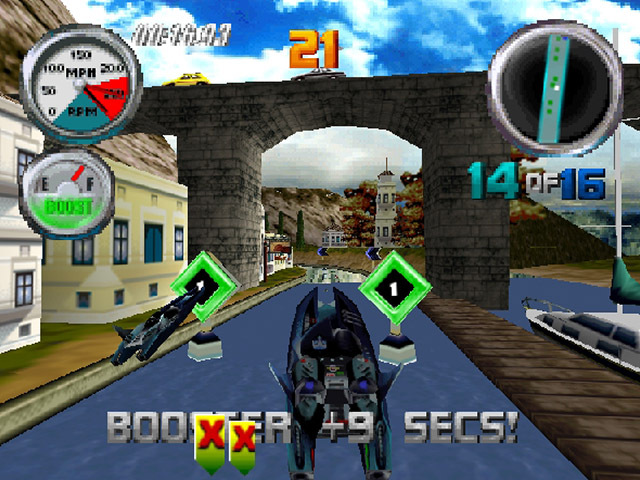 The graphics of the game are very well made and look almost identical to the arcade vesrion. 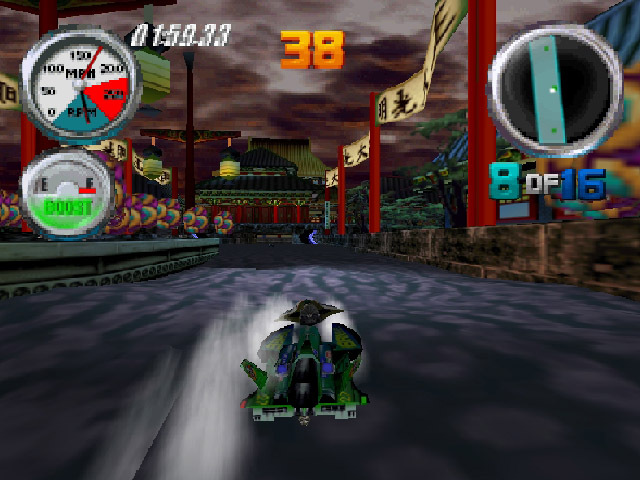 Sure, there's some differences between the two, but the game never looks anything less than a treat for the eyes. The only flaw is that the water mostly is flat, with no undulations or waves. It looks like asphalt more than water. 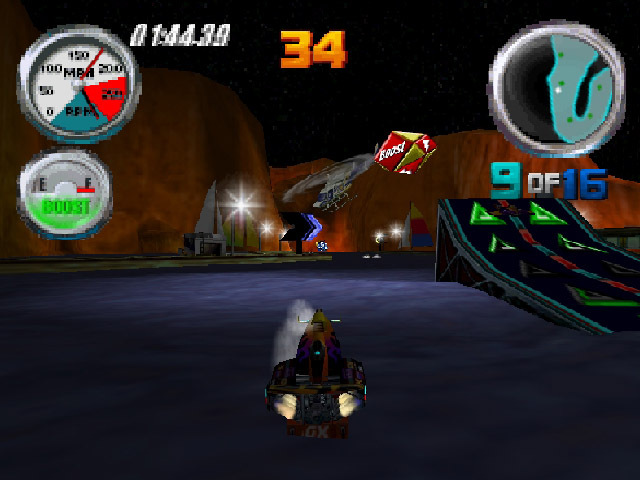 The sound in top-notch, with pumping music and very good effects. 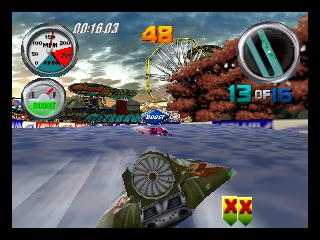 As expected from a racing game, perhaps, but considering the bashing the N64 got due to it's limited capacity, the quality is very high. The control of the game is very simple, as it should. 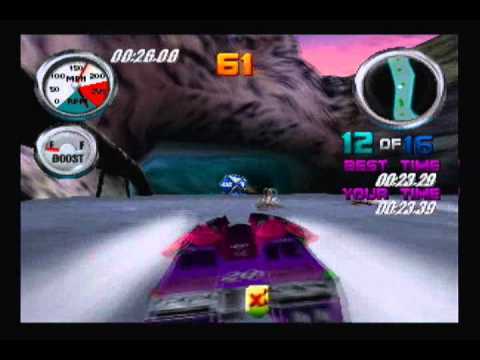 There's buttons for acceleration, breaking and powersliding as well as a turbo boost, which can propel you to new heights and parts of the courses. 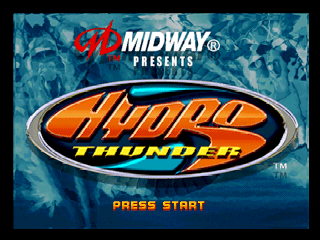 Overall this is a very good arcade racing game, for you to enjoy alone or with up to 3 more friends. 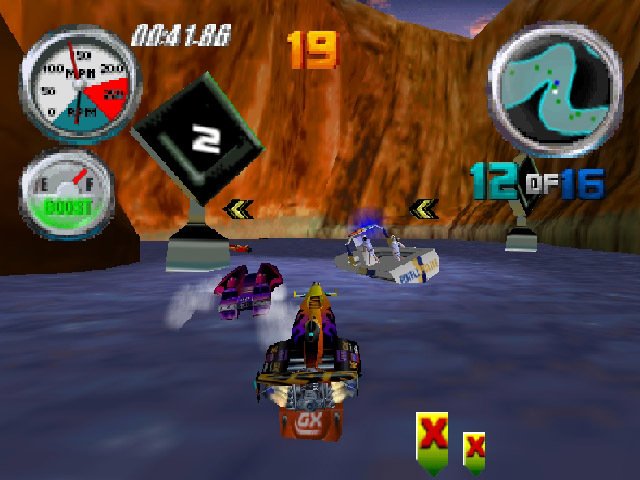 Recommended as a decent alternative to Wave Race, although it's not quite as good as that. More variety in courses though. Play it!